Ramipril Capsules are used to treat high blood pressure and reduce the risk of associated illnesses. Our prescription renewal service enables you to get your repeat medication delivered to your door. To buy Ramipril online, take our medical questionnaire to start your consultation. This dose contains 1.25mg of Ramipril, which may be issued to those who have not used this product before or are sensitive to potential side effects. One tablet a day is taken. The 2.5mg dose may be prescribed as a starting dose. This is taken as a once daily tablet. A doctor may choose to raise the administration to one 5mg tablet a day as a maintenance dose. The maximum daily dose of one 10mg tablet is only issued if lower strengths have proved insufficient. Ramipril Capsules are a generic treatment for high blood pressure, made by Actavis. They carry the same functioning constituent as Tritace, which is a drug called an ACE inhibitor, and perform the same action in the body. Ramipril capsules are available to buy from our UK pharmacy in a range of doses. The strength you are prescribed will depend on whether you have used blood pressure medication before, your susceptibility to potential side effects, or if you are currently taking any other treatments. High blood pressure is not a condition which is easy to spot. In fact, many people who do have it may not know. It is estimated that almost a third of the UK population will have high blood pressure to some extent. The condition doesn’t have any immediate telltale signs, but those who do have it have a higher risk of encountering cardiovascular illness. In some cases, high blood pressure can lead to arterial problems, heart disease, and stroke. While high blood pressure is not caused by any one factor, there are a number of contributing elements which can lead to it. It is much more likely to occur in those over the age of 65, and certain lifestyle characteristics, such as poor diet, lack of exercise, smoking or excessive alcohol consumption may also cause it. Determining whether or not someone has high blood pressure is undertaken using a gauge. This will give a two-figure reading, based on the force needed for the heart to pump blood out through a beat, and the resisting pressure of the arteries between beats. These are referred to as systolic and diastolic pressure, respectively. The numbers the gauge provides are given as millimetres of mercury (mmHg), as this is the format of the measurement bar. So a reading may be, for instance, 120 over 80; the former being systolic and the latter being diastolic. High blood pressure is said to be present if someone has two separate, consecutive readings of 140 over 90. One of the first things a doctor will assess is the patient’s lifestyle habits. To help bring blood pressure down, they may suggest a programme of light exercise, the implementation of a low fat, or low salt diet, or reducing the intake of toxins. But in those cases where these measures have not succeeded, prescription medication may be recommended. Ramipril is an agent called an ACE inhibitor. This works by preventing the enzymatic conversion of angiotensin, a blood pressure regulating hormone, into angiotensin II. It is this latter stage hormone which can induce high blood pressure by causing blood vessels to compress. In stopping the action of the angiotensin converting enzyme (ACE) which engineers this transformation, Ramipril helps to reduce blood pressure. If you have hypertension, your doctor will need to monitor your blood pressure regularly, and adjust your treatment regime as needed. You can buy Ramipril online from our UK pharmacy, if a doctor has already initiated a prescription for this medicine. Start your consultation by clicking ‘buy now’ and taking our medical questionnaire. Your case will be reviewed by our doctor, who will only issue a prescription if they are satisfied that the treatment is suitable. Medications are sent from our pharmacy by next-day shipping. You should always keep to the directions issued by your prescriber when using any treatment, to make sure that it is as effective as possible. Following these, as well as the instructions provided in the patient information leaflet, will also help you to lower the risk of side effects. Take your capsules in the manner prescribed. In most cases the typical initiation dose will be 1.25mg or 2.5mg, taken once a day. Swallow the capsules whole with water. Do not chew them prior to consumption. During use, you will need to have your blood pressure monitored regularly. A doctor may choose to increase the dose if the course you are using is not proving sufficient. The maximum daily administration is 10mg. Never exceed this or the amount prescribed by your physician. Do not take double the amount to make up for a missed dose. If you forget to take it, leave the missed dose and carry on treatment as before. The above is provided only as a guide. For detailed directions, consult the accompanying leaflet, and if you need further guidance, ask your doctor. It is vital to make sure that you are aware of the side effects associated with this product before use, as the occurrence of some may necessitate urgent medical attention. Tell your doctor immediately if you notice any signs resembling those of: an allergic reaction; development or worsening of any skin conditions; palpitations; heart attack and stroke; lung problems; hepatitis; bone marrow problems; or pancreatitis. You can find out more about these by consulting the patient information leaflet provided. Headache, tiredness, dizziness, low blood pressure, cough, sinusitis, bronchitis, stomach pain, diarrhoea, indigestion, feeling or being sick, rash, muscle cramps, or raised blood potassium levels. Balance problems, itching, numbness, tingling, paraesthesia, altered sense of taste, insomnia, depression, anxiety, blocked nose, difficulty breathing, heartburn, constipation, increased urinary frequency, sweating, loss of appetite, irregular heartbeat, reduced libido, fluid retention, flushing, blurred vision, joint pain, fever, or irregular liver function test results. Feeling shaky or confused, swelling in the tongue, flaking or peeling of the skin, blotches, sensation of coldness in the extremities, weakness, or hearing problems. The list of side effects provided here is not a comprehensive one. For a more detailed account, please consult the leaflet supplied with the treatment. Declare any other treatments you are currently using to your prescriber. Ramipril may interact with the following: ibuprofen, indomethacin, aspirin or other painkillers; any drugs used in low blood pressure, shock, cardiac failure, asthma or allergies, such as ephedrine, noradrenaline (norepinephrine) or adrenaline (epinephrine); treatments for cancer, such as chemotherapy; items used to help organ assimilation following a transplant, such as ciclosporin and tacrolimus; aliskiren; diuretics, for instance furosemide; potassium increasing drugs such as spironolactone, triamterene, amiloride or heparin; steroids, for example prednisolone; products used to treat diabetes, such as insulin; allopurinol; procainamide; or lithium. Let your doctor know during consultation if you have any medical conditions. This product is not suitable for those with: an allergy to nuts, soya, or any treatments for high blood pressure, or a history of angioedema; kidney problems; illnesses for which they are receiving blood filtration; renal artery stenosis; low or unstable blood pressure; or diabetes or impaired kidney function being treated with aliskiren. This medication is not recommended for use during the first 12 weeks of pregnancy, and should not be taken by anyone who is 13 or more weeks pregnant, or who is breastfeeding. Let your doctor know if you become pregnant or are trying to conceive, so that they can discuss suitable alternatives with you. Ramipril may interact with alcohol and increase the likelihood of side effects. Speak to your GP before taking this medicine for specific advice on alcohol. It is not advisable to drink alcohol while using this product, as this may increase the likelihood of adverse effects. Speak to your doctor if you are concerned about this. Yes, but only once you have established that taking Ramipril does not cause you to feel tired or dizzy. This is more common after beginning treatment, or having a dose adjusted. It should absolutely not be used during the last six months of pregnancy, and it is not recommended that you take it if you are three months pregnant or less. It is also not suitable for those who are breastfeeding. You should keep it in a safe environment, below 25°C. Ramipril Capsules are comprised of the following: ramipril, pregelatinised starch, gelatin, water, black iron oxide (E172), titanium dioxide (E171), shellac (E904), soya lecithin (E322), antifoam DC 1510, indigo carmine FD&C blue 2 (E132), and yellow iron oxide (E172). Refrain from using it if you are allergic to any of the above ingredients. No. As they are a prescription-only treatment, Ramipril Capsules are only available for purchase in the UK after prior consultation with a doctor. If this medication is right for you, your regular GP will initiate a prescription following your face-to-face consultation. If you are already taking Ramipril, you can renew your prescription for it by taking our secure consultation. 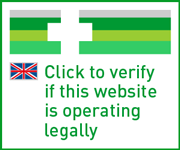 Orders are checked by a practising doctor, and once issued, your prescription will be sent to our UK pharmacy. Treatments are shipped by tracked next-day courier.